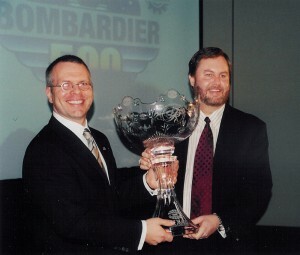 Eddie Gossage (right), Texas Motor Speedway general manager, joins with Andrew Farrant, general manager, Bombardier Aerospace, Business Aircraft, to introduce Bombardier as the title sponsor of the speedway’s June IndyCar Series. 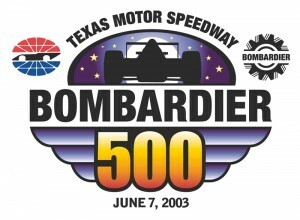 Texas Motor Speedway has announced Bombardier Aerospace as the title sponsor of their June 7 IndyCar series race. The 334-lap nighttime event will be run under the lights on the TMS 1.5-mile tri-oval track. The three-year contract to sponsor the race is part of a five-year agreement with IRL that was announced early last year. The arrangement includes the company’s fractional ownership division, Flexjet, which is what Farrant termed the “official business aircraft solution provider for IRL,” and last year its Learjet Division introduced a unique Indy 500 interior design as an option in its newly launched Model 40 light bizjet. Besides being the builder of Global, Challenger and Learjet aircraft, the Canadian company manufactures passenger rail cars, transit systems, locomotives, Ski-Doo and Lynx snowmobiles, Sea-Doo watercraft and Evinrude and Johnson outboard motors. Its involvement in motorsports creates a logical promotional match to customers and prospects across its broad lines of transportation-related equipment. And it doesn’t hurt that the race is close to some of the company’s operating divisions. 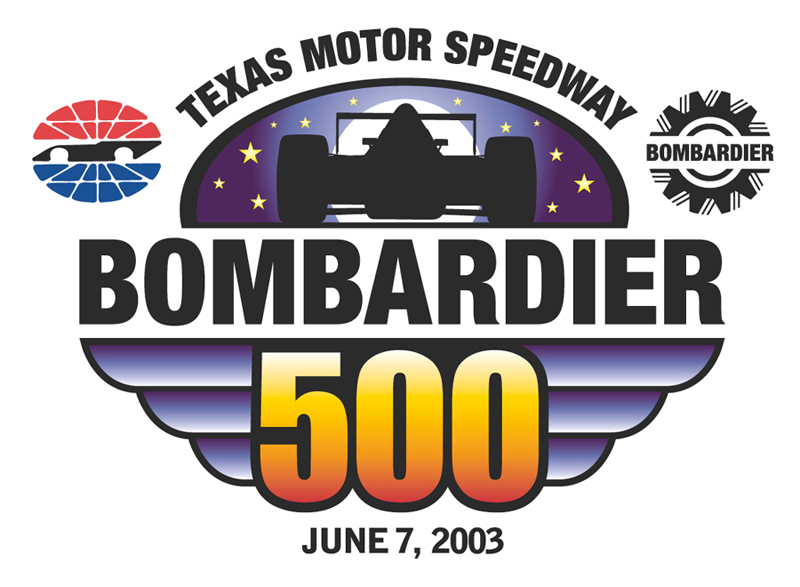 Texas Motor Speedway has announced Bombardier Aerospace as the title sponsor of their June 7 IndyCar series race. All told, of the company’s 12,000 U.S. employees, nearly 3,000 are located in north Texas. Fort Worth is also home to Alliance Airport, a Ross Perot Jr. development that is touted as the world’s first industrial airport. The centerpiece of a sprawling intramodal business, warehouse and distribution development, the airport is 14 miles north of the city and just two miles from the speedway. During a typical NASCAR or IRL race week—which can draw up to 200,000 fans—as many as 300 aircraft may be parked on the ramp or housed in hangars, and helicopters are employed to shuttle drivers, crews, team owners and ticket holders from their aircraft to the track and back. The 200-member association was organized to provide airport and air traffic information for the public as well as to the FAA to prepare for the volume of traffic to a different venue every week during the season. According to Fountain, there will probably only be about 30 race team aircraft parked at Alliance for the IRL event in June. Race schedules, NOTAMs, weather and traffic data is updated weekly and published on the organization’s website, www.rtaa.org. So, while attendance at the IndyCar event will probably be less crowded than at its NASCAR counterpart, Bombardier and its aviation products will be visible. And for people who aren’t in the market for a Learjet or Challenger or Global business jet, there is always interest in snowmobiles, watercraft, outboard motors—or maybe even an occasional locomotive. For more information about Bombardier, visit [http://www.aerospace.bombardier.com].